This past Sunday was an amazing one in the life of our church as we got to witness hundreds publicly declare their faith in Christ in word and through baptism and then celebrated with all the festivities that we’ve come to love as a part of our baptism Sundays. I hope that your family was blessed and encouraged by the “Goodness” of God in the stories you heard Sunday and the fun of fellowship during the party afterwards. It’s always a great way to kick off the month of May, and now it’s time to get back to our regular ministries and this month’s godly character trait: CONSISTENCY. These next 3 weeks, we focus on an area that I have to believe convicts us all. As parents, we long to see our kids grow to be dependable, responsible young men and women. We grow weary at times of kids who fail to be kind to one another, pick up after themselves, or keep their word. Then we look in the mirror and are quickly reminded that the model of consistency we give them is flawed at best. How will they (or we) ever learn to consistently follow Jesus? The old Scottish preacher, Robert Murray M’Cheyne famously said, “For every look at self, take ten looks at Christ.” That’s just what we intend to do this month as we look with kids at an unchanging God who is ever in the business of changing faithless people like you and me into faithful followers by His power. Come and see and check the blog each Sunday for more on what we’ve learned and how your family can grow together! CONSISTENCY: Doing what pleases God . . . each time, every time, for a long time. As the school year rapidly draws to a close, we are really excited about a new resource we will be making available to families this year and a new initiative that we hope will keep us all engaged in making the absolute most out of the summer of 2014. You will hear much more about this in the coming weeks, but for now, we want to invite your family to the kickoff party to what we hope will be one of the most “Significant Summers” of your life. 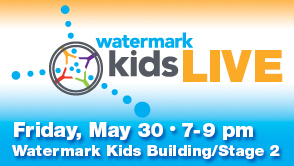 Watermark Kids Live is BACK and you don’t want your family to miss it! Friday night, May 30th from 7:00-9:00 will be your chance to hear about this exciting new adventure in Watermark Kids and pick up your copy of an amazing resource that we pray the Lord uses to make your summer break the best ever! Last month, as we reflected on the goodness of God and how it births goodness in our lives, we challenged the kids to memorize Psalm 103:1-12. We hope you took advantage of this challenge to meditate and memorize this amazing passage of Scripture as a family. If kids have memorized it by this Sunday (May 11th), have them say it to one of our staff or their small group leader to receive their ticket to next Sunday’s donut or cookie party. We’ll gather together 30 minutes before each service next weekend to enjoy some goodies and celebrate those who committed this amazing passage to memory. The month of May is already off to an exciting start, but we’re not done yet! Hope to see you and your kids this Sunday! What is your family looking forward to most about this coming summer? 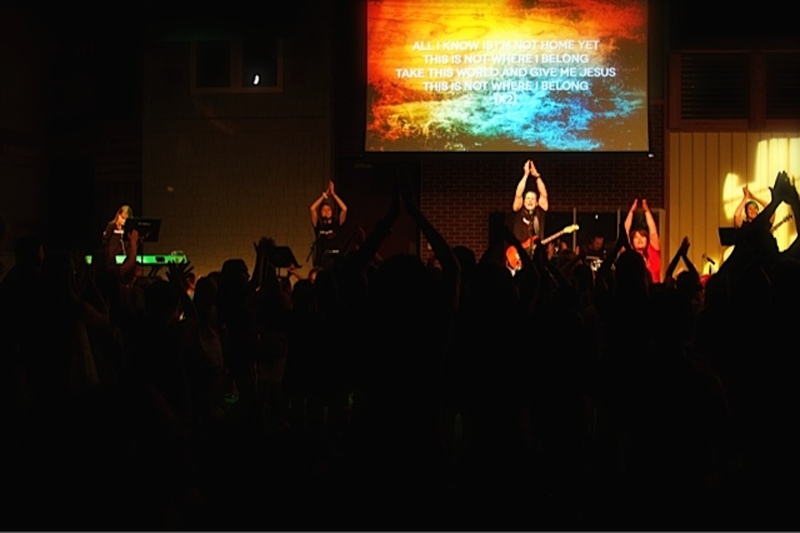 The post May Elementary Newsletter: Consistency & “Significant Summer” appeared first on Watermark Community Church Blog.